Nintex is a provider of workflow automation solutions for businesses of all sizes. It features process management, online forms, electronic signature, mobile apps, and more. In this article, we cover Nintex reviews and pricing. Ready to get started? Get a free trial. 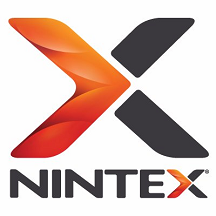 Users who gave Nintex a positive review said that the platform is easy to learn and use. Many also liked that it offers a lot of useful features like custom forms, e-signature, and process automation. Some also appreciate its integration with SharePoint. One user who gave Nintex a positive review on G2 Crowd mentioned that the program’s drag-and-drop interface makes it simple to construct complicated workflows. She added that the system is easy to configure and is highly customizable. 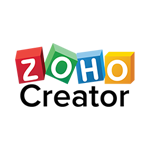 She particularly likes its integration with Salesforce and SharePoint, as well as its ability to build custom forms even without advanced coding skills. As of March 2019, there are not many negative Nintex reviews online. However, some users said that the company’s technical support department needs improvement. Others reported that the program can be glitchy or slow to respond at times. Some also wished for a more affordable pricing structure. Nintex pricing includes three types of subscription packages all billed annually: Nintex Process Automation (starts from $650 to $950/month), Nintex Promapp Process Management (from $950 to $1,300/month), and Nintex Automation & Promapp Process Bundle (starts from $1,400). The main differences between the plans include the number of workflows and processes and inclusion of premium features. Nintex also offers unlimited process and workflow based licensing priced by organization size. Contact the company’s sales support team for detailed pricing information. Ready to get started with Nintex? Get a free trial. 11 Best Workflow Automation Software 2019: Workflow automation software allows you to create processes to handle repetitive tasks. It’s especially important to take into consideration what software can handle the types of workflows you use since not all of these tools will work in every situation. This guide will help you identify the best workflow automation software for your sales team and help you save time and effort in your sales process. What industries does Nintex cater to? Nintex offers solutions for financial services, energy, government as well as health and life sciences. What internet browsers are compatible with Nintex? To design and run Nintex workflows, use the following browsers: Microsoft Internet Explorer 10, Google Chrome (latest version), Safari for Mac (latest version), Firefox (latest version), and Microsoft Edge (latest version). 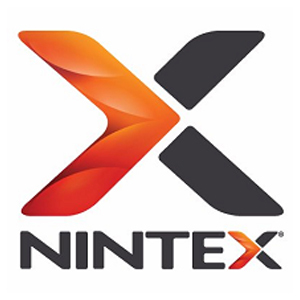 Have you read these Nintex reviews and are still not sure if it’s the right fit for you? Read our reviews of all top workflow management software providers or check out one of these three Nintex alternatives.